‘Study of a Young Man with Raised Arms’ by Peter Paul Rubens – $7m (£5.32m) at Sotheby’s New York. One of 13 works on paper consigned by a descendant of William II, reported to be Princess Christina, the sale was not without controversy in The Netherlands with members of one of the parties in the governing coalition calling for Dutch museums to have first refusal on the works before they were auctioned. While Dutch prime minister Mark Rutte rejected the suggestion, a spokesman for Sotheby’s told ATG that “the drawings are privately owned and not part of the Koninklijk Huis (Royal House)”. 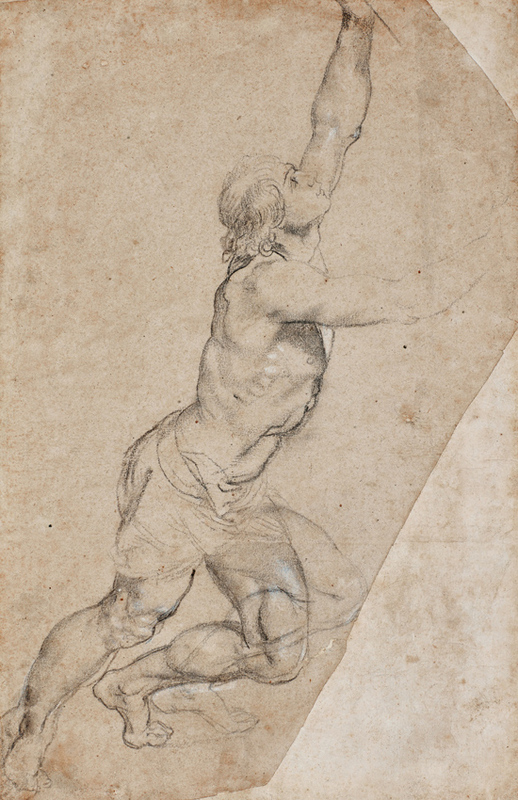 While the great majority of William II’s huge collection was dispersed following his death in an auction in The Hague in 1850, a small number of works including this drawing were bought back by the auctioneers on behalf of the family and have descended to the current ‘private’ vendor. The 13 works were therefore apparently separate from the Koninklijk Huis’ official institutional holdings and part of the royal family’s personal assets. Sotheby’s described the work as “one of the most important drawings by the artist to appear on the open market in over 50 years” and pitched it at $2.5m-3.5m. The study of a man with arms raised was executed in black chalk shortly after Rubens’ return to Antwerp from Italy in late 1608. It was likely made in preparation for his monumental altarpiece, The Raising of the Cross. Measuring 19.5 x 12.5in (49 x 32cm), it was heightened with white, inscribed Rubens in brown ink in the lower right corner and, while two corners were cut, it was deemed overall to be well preserved. After an intense competition between two bidders, it was eventually knocked down at $7m (£5.32m). Sotheby’s would not release any details about the buyer. According to the Art Sales Index, the previous auction high for a Rubens works on paper was a drawing of Samson and Delilah that made £3.22m (including premium) at Christie’s in London in July 2014. Catalogued as ‘attributed to Agostino Carracci’, this head of a youth sold at more than 25-times estimate at Sotheby’s New York when it was knocked down at $1.2m (£912,615). 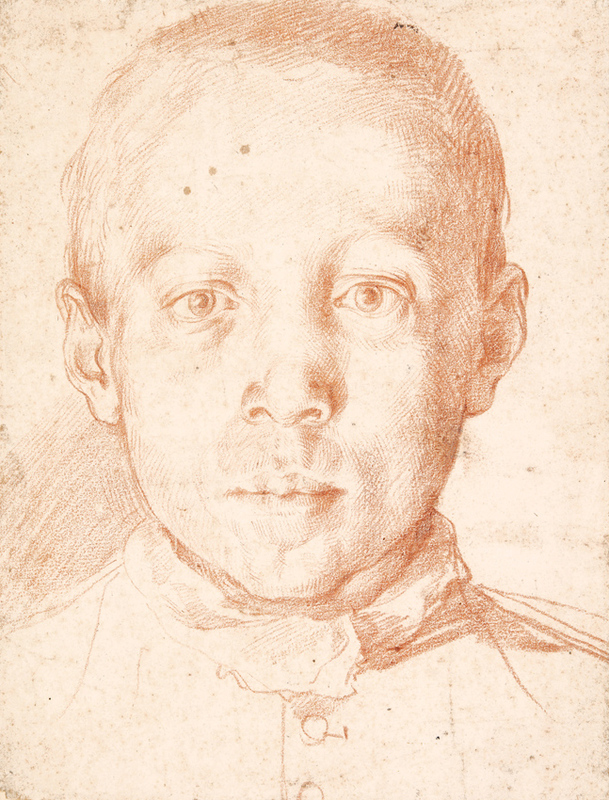 Also from the same Dutch source was a red chalk study for the head of a youth that was catalogued as ‘Attributed to Agostino Carracci’ (1557-1602). Estimated at $35,000-45,000, a number of bidders had little doubt that the impressively lifelike sketch was a fully autograph drawing. It was finally knocked down at $1.2m (£912,615). The buyer’s premium at Sotheby’s was 25/20/12.9%.